Seeing the overly analytical, reductionistic direction that modern medicine was taking, and the harmful, toxic, or invasive nature of many of its treatments, a number of far-sighted, holistically minded individuals arose in rebellion to found their own schools of holistic medicine. Many of these medical revolutionaries looked to the life and teachings of Hippocrates and other classical Greek physicians for inspiration and holistic healing wisdom. 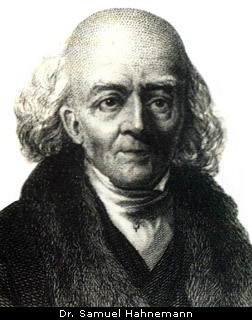 The first of these medical revolutionaries was the German physician Samuel Hahnemann, who founded homeopathy in the late 18th century. Seeing all the harm being done by the heavy doses of harsh, toxic drugs, which was the standard medical practice of his day, Hahnemann decided to experiment with giving these same potent poisons in harmless microdoses, to see what kinds of effects they would have. He found that microdoses of these toxic drugs, properly diluted and prepared according to a special homeopathic process, helped the body heal or recover from the same diseases or symptoms that they caused in regular doses. They did this, Hahnemann theorized, by stimulating the natural innate healing responses of the organism to throw off the disease condition. Homeopathy is based on the principle Similia similibus curantur, or "Let like cure like. ", a medical aphorism that the homeopathists attribute to Hippocrates. In other words, "a hair from the dog that bit you" cures the illness or affliction. Homeopathic methods of like curing like do indeed have their place in Greek Medicine. But the usual rule in most cases is to help the organism reestablish balance and homeostasis with medicines and treatments that are contrary in nature to the disease or affliction. In 18th and 19th century America, a couple of influential schools of herbal medicine developed and flourished. These were the Thomsonian School and the Eclectics. The Thomsonian School was started by the maverick herbal practitioner Samuel Thomson in the late 18th century. As the school grew and flourished, it became known as Physiomedicalism. The Thomsonians believed in stimulating the vital defensive and metabolic powers of the organism by using heating, stimulant herbs like Cayenne, Lobelia and Bayberry bark. They focused their treatments on what Greek Medicine would call the Vital Faculty, by stimulating the immune response, the Innate Heat of metabolism, and balancing and optimizing the circulatory system. Like homeopathy, the Eclectic School began as a protest against the harsh, toxic drugs and harmful medical treatments of their day. The Eclectics were looking for a gentler, saner, more natural approach to medical treatment, and found the alternative they sought in herbs. The Eclectics were true masters of herbal medicine. They had a doctrine of herbal specifics, or precisely matching single herbs or simple formulas to the patient's condition, in contrast to the crude "shotgun approach" of large doses of harsh, potent, but poorly chosen drugs favored by the conventional practitioners of their day. The Eclectics treated diseases according to their natures, not their names. Their system of disease syndrome differentiation and treatment had a lot in common with the classical Greek concepts of humor and temperament. They treated the person, not the disease. The word eclectic means, "I choose" in Greek. The Eclectics were very progressive and open-minded, and believed in using whatever would best help their patients. In classical Greek Medicine, the term "eclectic" was reserved only for the greatest physicians, like Hippocrates and Galen, who had mastered the art of medicine to such an extent that they were free to pick and choose, and incorporate concepts and treatments from other medical schools and systems into their practice. The German cleric Father Sebastian Kneipp (1821 - 1897) developed a system of natural therapeutics that he called the Nature Cure. It combined diet, herbal medicine, fresh air, fasting and purification treatments, exercise and hydrotherapy, or therapeutic bathing into one integrated system. This became the basis for Naturopathy. In the mid-19th century, the teachings and practice of naturopathy came to American shores. People like Dr. William Kellogg went to Europe to learn the Kneipp system of natural therapeutics and used it in his famous sanitarium in Battle Creek, Michigan. Benedict Lust and his son John Lust, both disciples of Father Kneipp, were also instrumental in establishing naturopathy in the United States. Chiropractic is a natural, drugless osteopathic system of healing through physiotherapy and manipulation. Its central theory is that since nerves branch out from the spinal column to vitalize and animate all the organs, tissues and parts of the body, spinal subluxations, or displaced vertebrae can pinch or put undue pressure on important spinal nerves, thus impeding the flow of vital nerve force to the organs and tissues they supply, causing dysfunction and disease. Putting the spinal column back into alignment with chiropractic adjustments removes the original cause of the disorder and returns the organism back to a state of health and balance. In terms of Greek Medicine, chiropractic treats and heals the organism through the Psychic Faculty and its neural network. Through adjustments to the spinal column, or central nexus of this neural network, the chiropractor rebalances the flow of the Psychic Force, or nerve energy, thus putting the whole organism back into a state of homeostasis. Although the Caduceus, or winged, serpent-entwined staff of Hermes is the present day symbol of conventional allopathic medicine, chiropractors are better able to understand and appreciate its significance. The Caduceus is a symbolic representation of the human spinal column with its energy centers, or chakras. The fact that all of these alternative holistic healing systems reverted back, either consciously or unconsciously, intentionally or otherwise, to certain fundamental principles of Greek Medicine is a testament to their timeless universality. In their essential commitment to gentler, safer methods of treatment, and to working with Nature, these holistic healing systems are in harmony with the basic precepts of Greek Medicine.